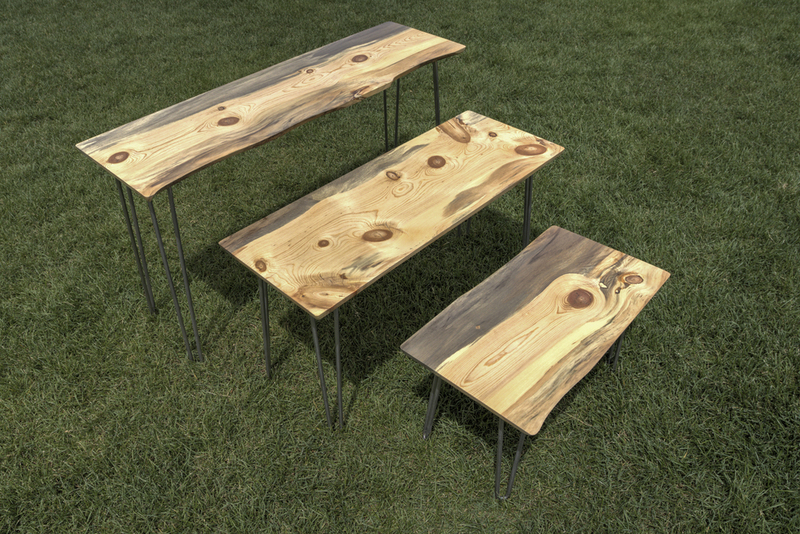 A set of three, simple, modern, rustic, nesting tables made with one beatle-kill pine slab saved from a forest fire, possibly from Black Forest, CO or Waldo Canyon, CO. Finished with outdoor polyurethane and stainless steel hairpin legs, these tables are ready for summer gatherings around the grill. Large: 15.5" x 52.5" x 28.75"
Medium = 15.75" x 42" x 22.75"
Small = 16" x 28" x 16.75"